Affirmations Publishing House began at the dining table, with two dozen cards and a dream to spread positivity throughout the world with their greeting cards, whether it be an encouraging message or wishing a loved one a happy birthday. Affirmations’ stunning collection of greeting cards is made from recycled paper, and is printed with vegetable-based inks to reduce their environmental footprint - because it’s not only the people of the world that the company care for, but the planet, too. Made from recycled paper, printed with vegetable-based ink. Decorated with a beautiful illustration by Kate Knapp. 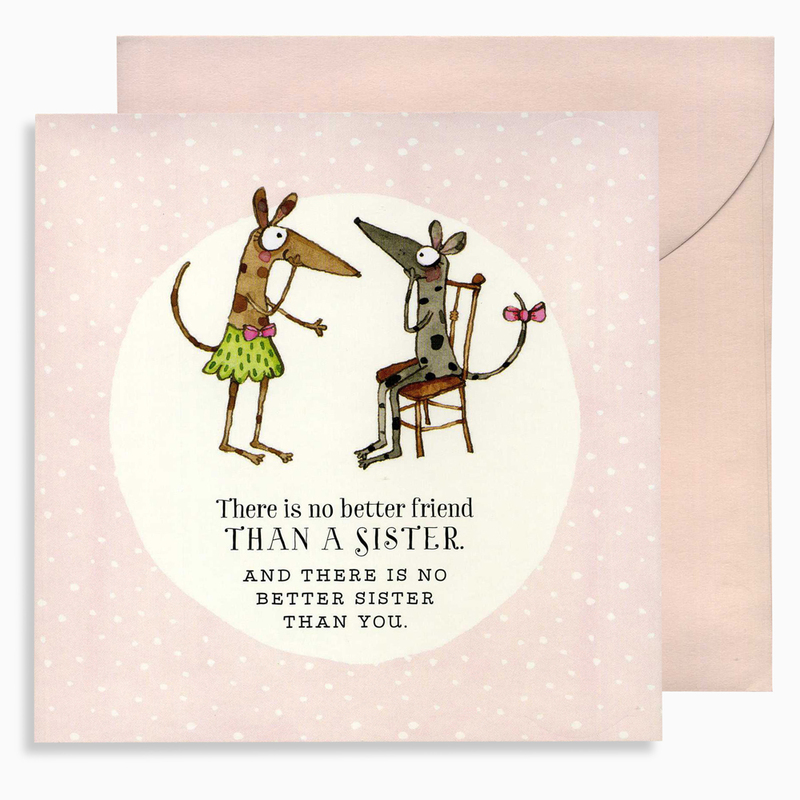 Front of the card reads: “There is no better friend than a sister. And there is no better sister than you." Stores inside a pink envelope. Inside of the card is left blank.